1) Take the phone off the hook. 2) Take turns choosing an activity you both enjoy from a list you have brainstormed together. 2-6 years old 10 min. /day. 13 and older - Once a month something your teen can’t resist. 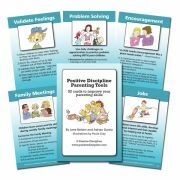 This is a great follow up to the Family Meetings Tool Card. Your weekly family meeting is a great time to schedule special time for the coming week. We just had our family meeting and discussed this topic. Gibson decided that he and I would play tennis and Emma decided that she and I would practice softball. I'm not sure I agree with the 13 and older suggestion of "Once a month" for special time. I don't think that seems like enough special time with a teenager. I guess the assumption is that teenagers don't want to spend time with their parents, but I have found that even the most rebellious teenager will go out to breakfast once a week. Most teenagers will not say no to food, especially if they get to pick the place! I already spend plenty of time with my children. In fact...I probably spend too much time with them. But this is "Special Time" which is different. If I am spending time with both children, there is still that element of competition for my affection. So I will be interested to see if spending special time with each child individually will have an effect on the sibling rivalry in our home. 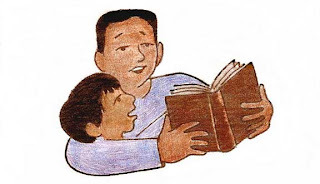 Does story time in the evening before bed count for 10 min / day? I think spending special time at bedtime is one of the best ways to to end the day. My kids can tell if I am just running them off to bed. But if I spend some time with them before bedtime, everything goes more smoothly. As the kids get older and more independent, I find myself missing the special time - like the snuggling before bed and stories. If you don't schedule special time - it's too easy for it to not happen. How wonderful for our kids to know that spending that time, one-on-one with them is important enough to schedule and make happen. I needed this reminder-especially the part where you let your kids choose the activity they want to do with you! Yesturday Dal wanted to play Risk and I kept suggesting other games that I like to play because I selfishly didn't want to spend 3 hours on the livingroom floor. I know he would have been MUCH more fulfilled if I would have enthusiastically said, "I'd love to play Risk!" Pixie Girl - I can totally relate to your reaction about playing Risk - that's a game with a big time commitment and I find myself making other suggestions too when the board comes out! I like the idea about brainstorming the ideas together and having it be something that you both enjoy. Total win/win!